Mind over matter. Get your head in the game. It’s all in the mind. You’ve probably heard the idioms – or some variation of them – countless times, but how much influence does the mental side of sport really have on performance? What’s with the weird and wonderful routines some athletes seem to perform religiously before competing? And are athletes just wired differently? GC2018.com caught up with Professor David Neumann – the Acting Head of School (Research) at Griffith University’s School of Applied Psychology – to get insight into the minds of the elite athletes. Here are four things we learned. Athletes can be renowned for their pre-game routines – just think about Rafael Nadal or Novak Djokovic. Professor Neumann explains that routine and ritual are two distinctly different things and while one can be beneficial to performance, the other can be harmful. “Ritual is not a good thing and superstitions, having to wear a certain pair of socks or something like that,” he said. “But routines, so a pre-shot routine that you’d have in golf, it functions by giving you a constant for the body and the mind to calm yourself down, but also to get activated. “If you look at say, weightlifting, which is a massively explosive sport, having that pre-lift routine functions to first of all, get yourself prepared, but then raise that activation level so when it comes to stepping in front of that bar and doing that lift you can just explode. 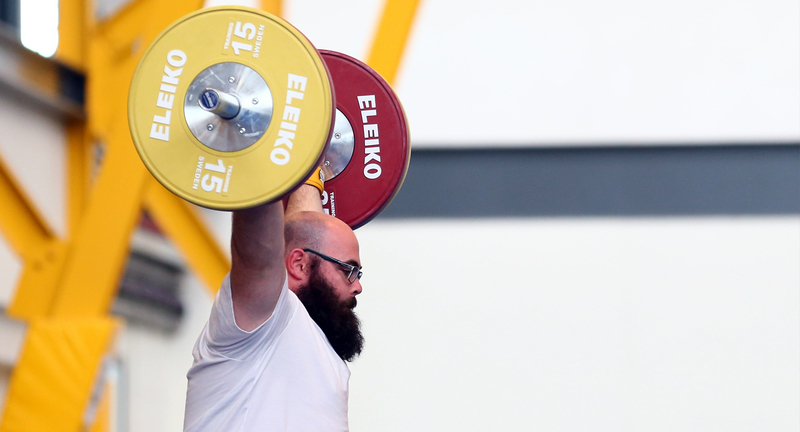 GC2018 Weightlifting Ambassador Damon Kelly is seen during an Australian weightlifting training session. Social media was a much-debated topic after the London 2012 Olympics, with some athletes blaming a preoccupation with social media for poor performances. Australian swimmer Emily Seebohm said using social media had distracted her and prevented her from getting into the zone before her 100m backstroke final. “I don’t know, I just felt like I didn’t really get off social media and get into my own head,” she told British newspaper The Daily Telegraph at the time. Professor Neumann agreed social media is a distraction, even more so six years on from the London Olympics. And it’s distracting effects can continue long after a session of scrolling. “It distracts the athlete, so it gives them something irrelevant to think about when they need to keep their mind on the game,” he explained. “It’s not just on the day, it’s the day before. They need to keep their training up, they need to have their diet [right], they need to have their sleep, all those types of things are so important and if you have a negative social media experience a couple days before your event that can still have a big impact. “A lot of athletes derive their publicity and so on through social media because also, they’ve got to promote themselves because for them it’s also part of their job, their work, their income. They need to be part of that game,” he said. Griffith University Alumni Emily Seebohm competes in the women’s 100m Backstroke semifinal on Day 2 of the London 2012 Olympic Games. 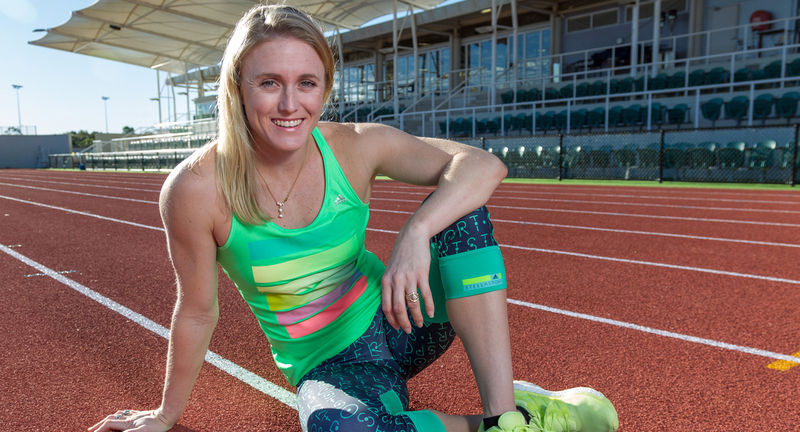 GC2018 Ambassador and world, Olympic and Commonwealth Games champion Sally Pearson has spoken about the impact a change in mindset had on her hurdles career. It seems simple, but reframing thoughts have a huge effect on an athlete. “When I was younger, I used to think negatively,” she told GC2018.com. “Your automatic thought process is ‘don’t do something’. Don’t false start, don’t false start. It’s the scary part, because if you false start you are out. “I started seeing a sport psychologist and she changed my way of thinking and it has pretty much helped with very part of my career. While all elements of an athlete’s training are important, the mental side becomes even more important the further an athlete progresses in their career, Professor Neumann explained. “Obviously you need to have those physical attributes, have the strength, or your skill level that develops through all the training so you need to have that, but the trouble is when you get to that elite level, everyone is more and more similar to you in that respect,” he said. “So that’s why the mental side is so important, because that could be what differentiates. Griffith University Alumni Sally Pearson smiles for the camera after her announcement as an official GC2018 Ambassador. That’s certainly the view of Australian para powerlifter Leigh Skinner. “I think it [takes] a small amount of craziness,” he told GC2018.com. Like any good researcher, Professor Neumann made the disclaimer that athletes are a biased sample, but he can’t deny there are certain traits that athletes tend to have in spades. “The idea of resilience, grit as well. The ability to deal with setbacks,” he listed. “They’re all really good traits of elite athletes and you do see that more so than say, the general population. “You don’t get to that level unless you have those traits because athletes will often have injuries, or they’ll have setbacks or they won’t perform well. Griffith University is an Official Partner of the Gold Coast 2018 Commonwealth Games.